Intimate songs that Ooze Class and Substance. I wasn’t aware of Glen Hansard until I received this album; and as usual didn’t read the Press Release until I’d made my mind up about the songs themselves. It appears young Mr. Hansard is not only the vocalist and primary songwriter in Irish Rock Band The Frames (I’ve actually heard of them) but, alongside Marketa Irglova won an Academy Award and a Tony for the song Falling Slowly from the film/musical Once (saw it at the cinema! )…so he’s no new kid on the block. Now I know all of that information the album makes a whole lot more sense! The album opens with the beautifully atmospheric Grace Beneath the Pines, featuring droning pipes and piano in the background that shadow Hansard’s softly evocative voice. My first thoughts were that he’d been influenced by the likes of Coldplay and Keane; but managed to carve his own Celtic tinged Folk path. Her Mercy is in a similar vein and had me leaning closer to the speakers to hear the delicate instruments in the background as Hansard pleads with the intensity of a dying man. Lowly Deserter is a fascinating piece; as it features a banjo and fiddle that create an Irishness to a passionate story that Hansard lifts up onto his shoulders for the world to see and hear; before a New Orleans influenced brass section slide in to take it to the edge. In my opinion, Paying My Way and Winning Streak are really well constructed and executed in the style of the Waterboys, and both will become some young persons favourite song of all time. It’s ‘favourite song time’ and that’s not easy as there are a few contenders with the delightful Paying My Way just winning by a nose; probably because it reminded me of Guy Clark and Townes Van Zandt without remotely sounding like either. 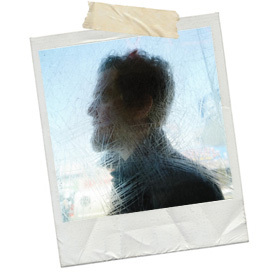 So my initial thoughts of Glen Hansard being ‘one to watch’ are blown out of the water; but on whatever career path he decides to take I’m sure this album will help move him forward very quickly.